Just one look at my blog, you will know immediately that I am someone that loves budget-friendly things.Before I purchase items, I try to check first if there are ongoing deals or sale for the products that I want to buy (unless it is super low price that I easily become impulsive buyer). I have been like that when I was in Manila and it is still a part of me especially now that I move to the US where coupons and discount vouchers are delivered every week in the mailbox. I actually been very good at trying to cut back with shopping (I have been out of work for a year!) but I always welcome deals with household products. Just recently, I availed a good deal from Target where I was able to save $15, getting me a free laundry liquid detergent. The thing is, I actually forgot that deal from the weekly ad I got from the store. You know what reminded me to of it? Dealspotr! 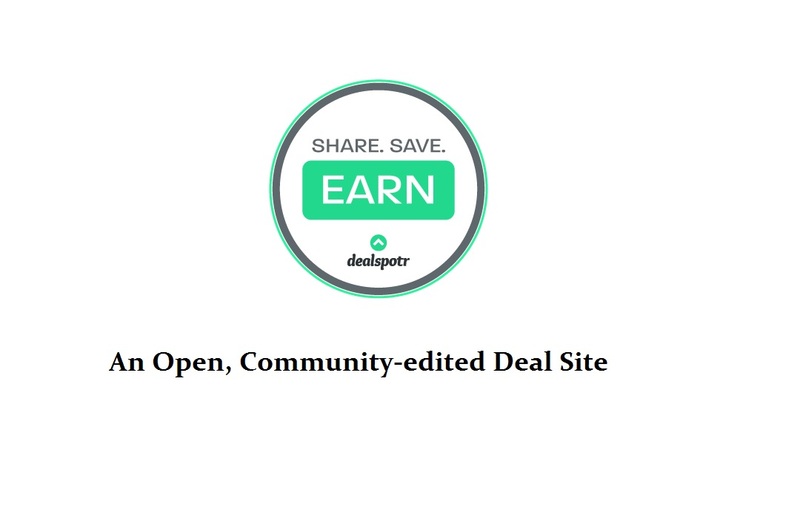 Dealspotr is a reliable, community-edited deal site, where in its users/members are actively involved in making sure that deals and digital coupons posted are valid and working. I have been a member of this since September last year, but I only got active this recently as I felt that the site has evolved into a welcoming community with all the features that were added. I've read that since launching a year ago, they have helped users saved $15 million already. It is very fast growing site and if you like that news feed type like Facebook, Think of it as that, only thing is it only involved deals and discounted posts on your timeline! And the good part is you can also earn while doing that. Dealspotr give points for posting deals and validating others' posts that you can eventually redeem as gift cards or through your Paypal account. I was able to redeem $30 already and I have been just recently active even if I was a member for half a year (and I don't post a lot, I do more of deal validation). And even if I don't earn from points, I find the site updated regularly of most of the brands that I shop a lot. Imagine not checking lots of websites or weekly paper ads just to find deals. As a one stop shop for deals, Dealspotr is very easy to use. As you can see in the photo above, even if you are just a guest user, you can easily browse all the available promos and find certain things based on categories on the side menu. You will know what deals are valid based on the comments/validations of users. Normally, we provide screenshots when trying out a coupon code and confirm that the deal really is being applied. Everyone's goal is to maintain deals that are true as advertised. There are also moderators that check for duplicate deals and that some guidelines are used when the deals are posted. They are also friendly and easy to talk to if you have concerns or questions. Another feature that I like from the website is the forums. It is still pretty new but I now there is a venue where I can interact with fellow deal lovers and most of them are bloggers, too! I like to see how Dealspotr will keep on improving hence, I am showing some support by writing about them and continuing to be an active member. And since I mentioned referral, you can use my referral link so we can both earn! I also have available access codes that can turn you into Silver Status immediately. Feel free to send me a message if you want to learn more about Dealspotr so I can help. Hope you check out their site and also enjoy using it just like me. Let's all share, save and earn!